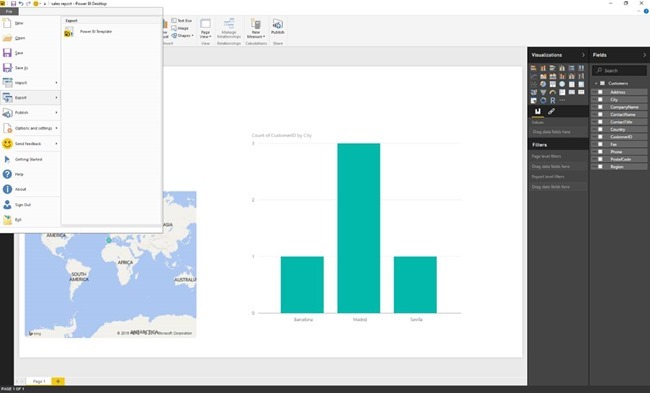 Hello everyone, another month, another set of improvements for Power BI Desktop. New visual settings have been added under the Formatting tab of table, matrix and multi-row card controls, allowing users to customize the header, background, text and grid colors, as well as grid lines, spacing, and padding. Customizations of these settings will allow users to create more attractive visuals as well as emphasize specific data, making it stand out in a presentation. Below are examples of different tables that can be created with the new style settings, along with their settings and values. 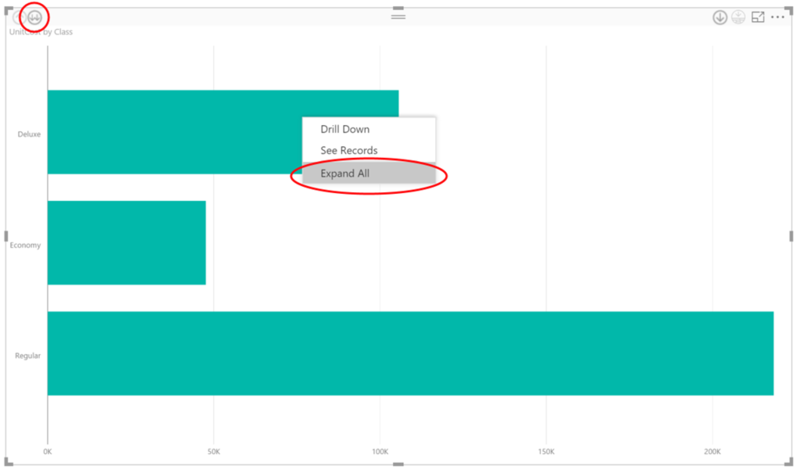 You can now see a trend line of your data in the following charts: line, scatter, bubble, column, area, and combo charts. 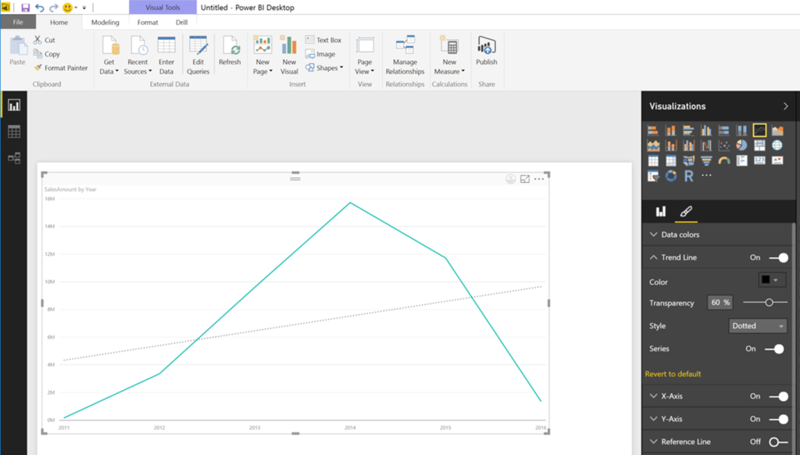 To enable the trend line, select the control, and in the Visualizations tab, Format settings, switch Trend Lines to “On”. You can now allow users to see all the data records behind a data point by enabling the See Records option in the Drill ribbon. 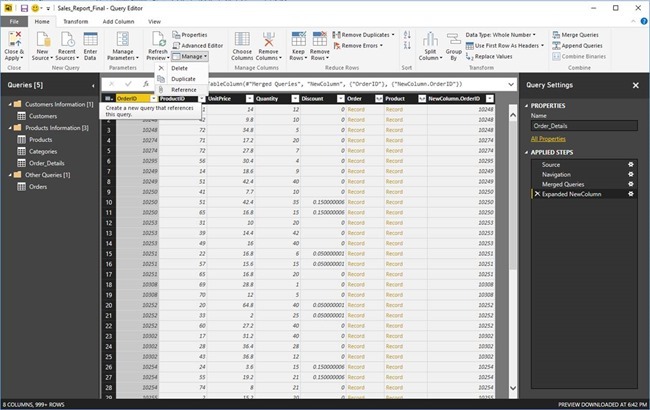 After enabling this option, you can simply click on a data point to see all the data records behind it, or select see records from the right-click context menu. The map control has been improved with an intuitive feature. Whenever you drill into or filter data in the map, the control will automatically zoom in to the available data points. So if you are using a world map, and you filter European data only, map will automatically zoom in to Europe. When multiple categories or dimensions are added to a single axis, a few interactive options are available to the end-user. One of these is “Expand All” which flattens the hierarchy and shows all items at the lowest level, enabled via the double down arrow on the top bar of the visual or a right-click on the visual. This is a small improvement to the back-end engine that speeds up the modelling operations by not blocking them while visual controls are refreshing. With this version of the Power BI Desktop you can now use DAX time intelligence functions with the built-in time intelligence functions. With the Inline hierarchy labels preview feature turned on, you can access these fields with a dot notation (e.g., Sales[InvoiceDate].[Date]). The dot notation works in all places a normal date field can be used. Time Intelligence feature is in Preview and needs to be enabled in File -> Options and Settings -> Options -> Preview Features before use. In this release you can now see, edit, and add synonyms for your model. 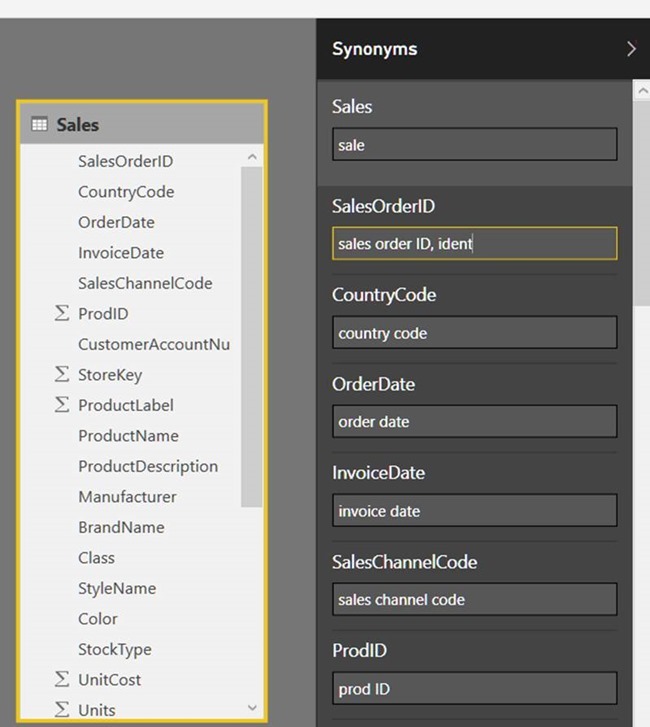 Synonyms can improve the Q&A experience for your data model and ease the query experience. You can access synonyms in the Relationship view by selecting Modeling > Synonyms. Users can now easily create and manage parameters within their Power BI Desktop files. The new “Manage Parameters” dialog is available from the Query Editor ribbon and allows users to create new parameters, annotate them with metadata (such as Name & Description), information about the expected parameter type and values, default value and current value. Once one or more parameters are available in the current file, users can reference those parameters via the UX. Referencing parameters is currently supported via the Data Source dialogs, Filter Rows, Keep Rows (top/bottom, etc. ), Remove Rows (top/bottom, etc.) and Replace Values. 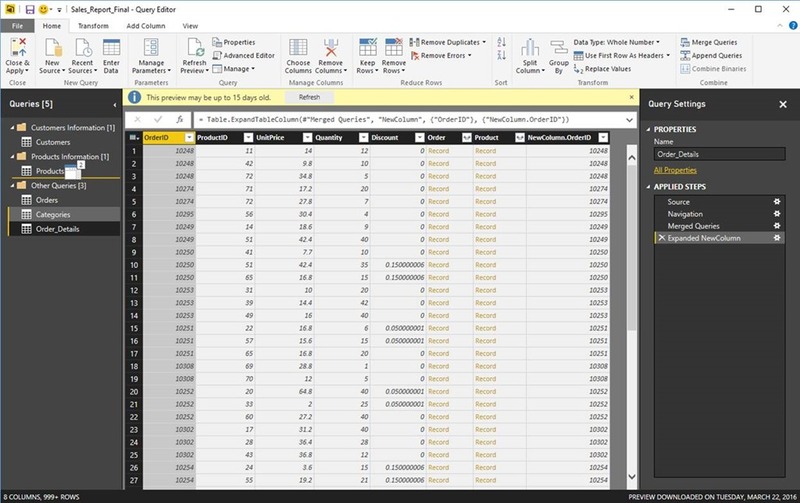 In addition, Parameters can be loaded to the Data Model just like any other queries, allowing references from measures, calculated columns/tables and report elements. Look out for an in-depth tutorial on parameters in these blogs in the next few days. Exporting Power BI content as a template is another new feature that will help streamline work. Power BI templates (.pbit files) include the definition of a Report, Data Model and queries, but not the actual data. 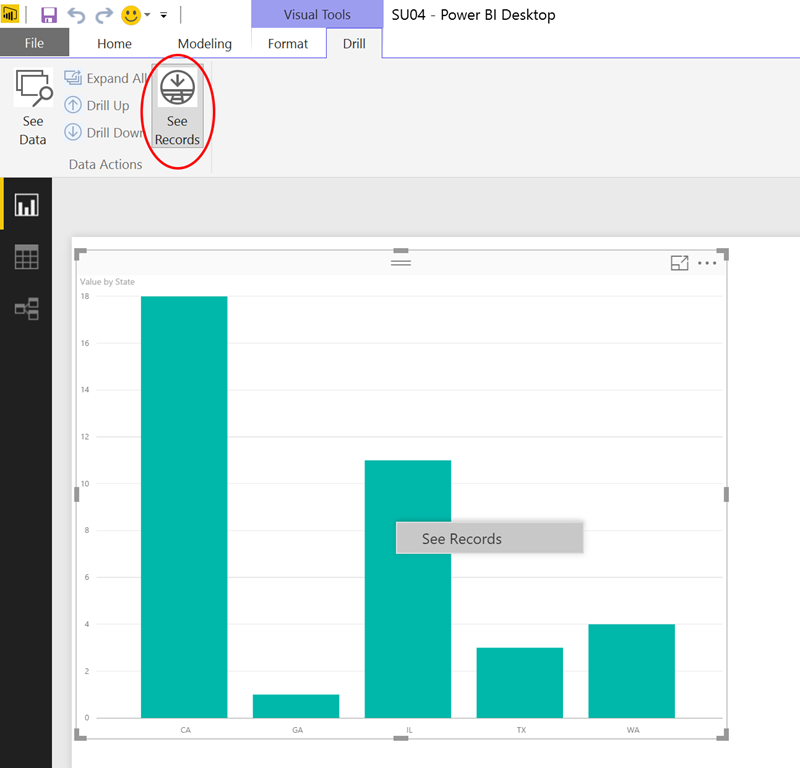 Templates can be created via File -> Export -> Power BI Template, which generates a .pbit file. 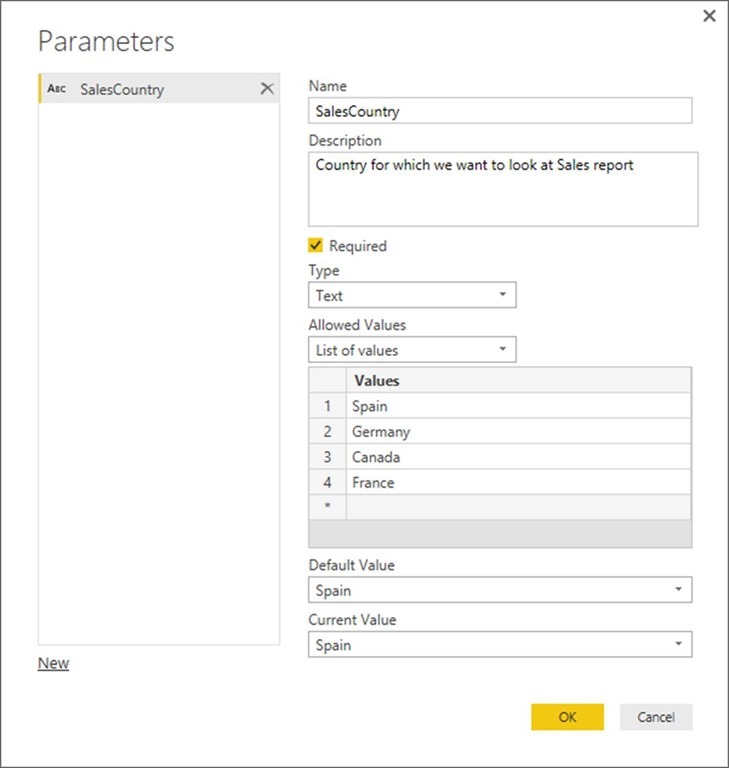 Templates can then be instantiated by double-clicking on the template file, or by using the File -> Import -> Power BI Template UX path. 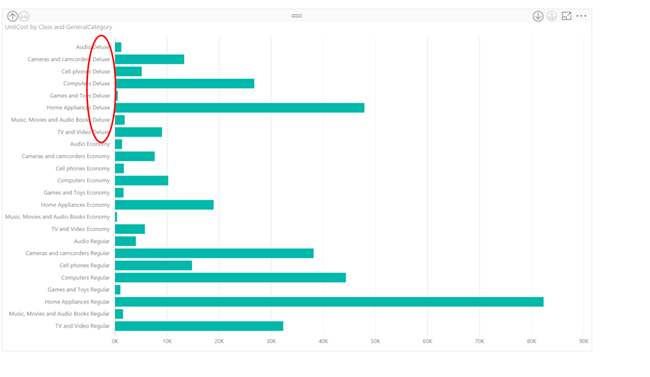 This will generate a new Power BI Desktop report file (.pbix) based on the template contents, asking users for any additional input parameters required along the way. A tutorial explaining templates in more depth will be appearing in these blogs soon. We have added a new category to the “Get Data” dialog that includes all available connectors for Online Services in Power BI Desktop. o SharePoint Folder: Available under the “File” category, it enables users to import data from multiple files within a SharePoint folder, similar to how the existing “Folder” connector enables users to import and combine multiple files from a filesystem folder. o Webtrends: Available under “Online Services” category. It allows users to retrieve data from their Webtrends accounts and, optionally, specify a date range. o tyGraph: Available under “Online Services” category, it allows users to retrieve data from their tyGraph accounts, given an API key. With this update, we’re making it extremely easy for users to create new columns in their queries based on values from a different column. A typical use case for this includes creating a set of “buckets” or “categories” based on ranges from a continuous value column. For example, categorizing a person’s BMI into “Underweight”, “Normal”, “Overweight” or “Obese” based on well-known BMI value ranges, or defining categories such as “This Week”, “Last Week”, etc. based on a Date column. Previously, this could be achieved by creating Custom Columns and capturing the conditional logic with a set of If-Then-Else statements. These expressions can very soon become extremely complex to author and maintain, as new conditions are added. 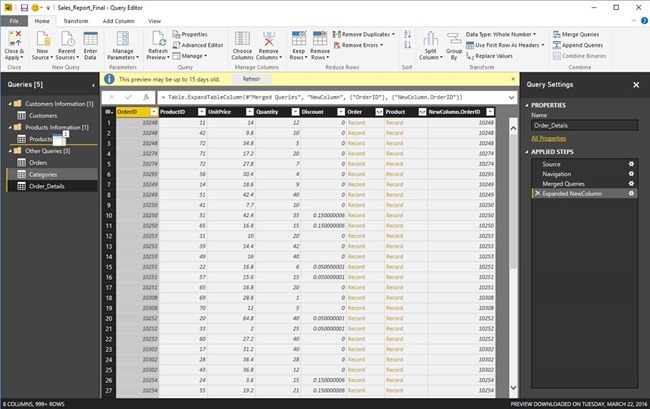 Starting with the April update, users can now define a set of rules and output values for the new column based on values in other columns within their tables. 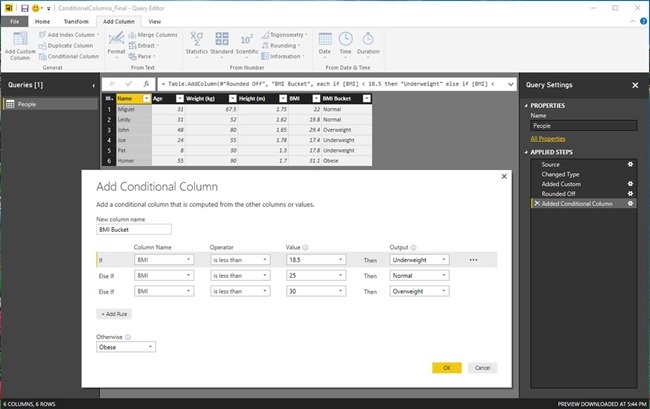 This can be achieved via the new Conditional Columns dialog, available in the Query Editor under the “Add Column” tab in the ribbon. In this update, we have modified the flow for connecting to a data source that supports both Import and DirectQuery modes, so that users can pick which mode they would like to use as part of the initial data source connection dialog. 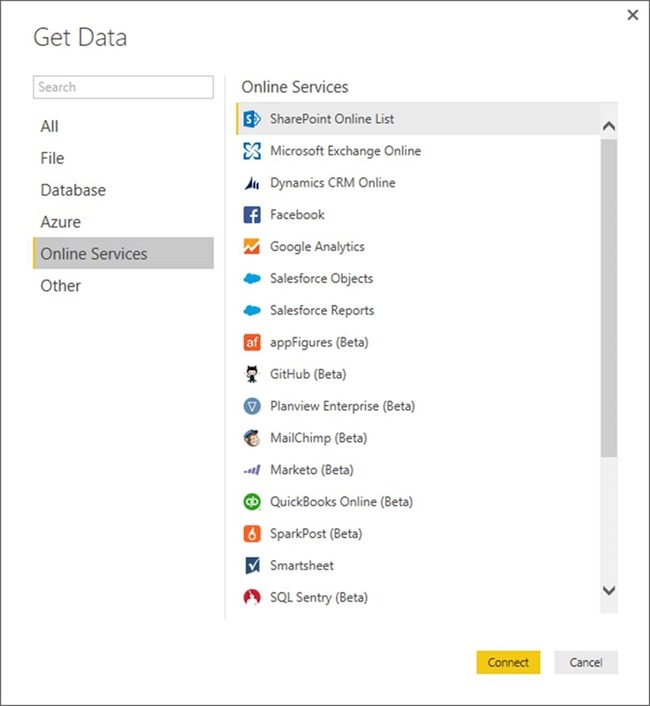 This is currently available in all sources that support DirectQuery: SQL Server, Azure SQL Database, Azure SQL Data Warehouse, SAP HANA, Oracle and Teradata. We have added column type indicators in column headers within the Query Editor preview. 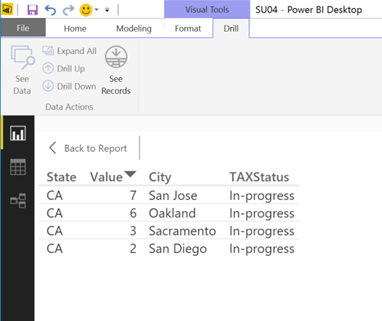 These new column type indicators allow users to quickly understand the types for each of the columns in their table, as well as changing them to another type by clicking on these indicators, or by using the previously available ribbon options (Data Type dropdown menu and “Detect Types” option under the Transform tab). Users can now easily reorder queries and query groups within the Queries pane by selecting one or multiple objects and dragging & dropping them into their desired destination. This can be used to reorder items within a given group (or top level), and also to move objects into a query group. With this update, we’re exposing a new “Manage” dropdown menu for a query, within the Query Editor Home tab in the ribbon. 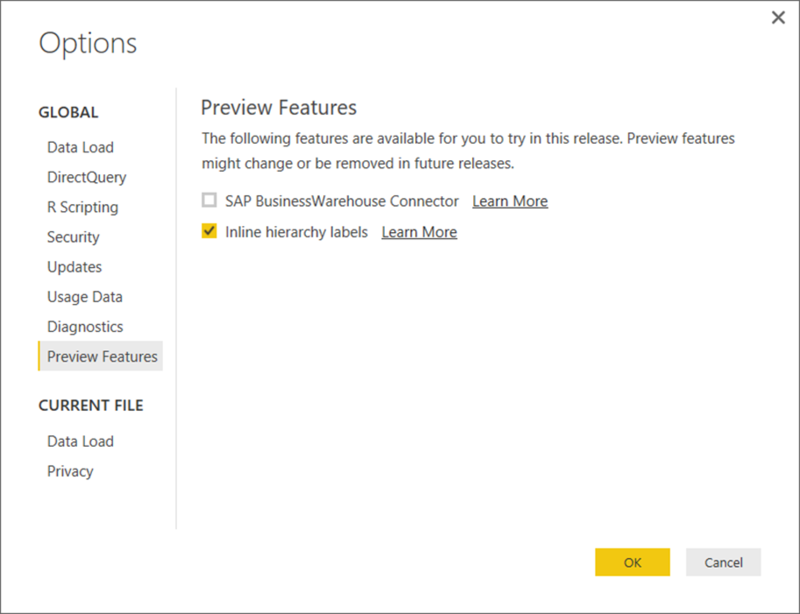 This menu exposes common management operations for a query, such as Duplicate, Reference and Delete.